Asia, and Southeast Asia in particular, is made of thousands of island. The Philippines has 7,000 and Indonesia over 17,000. Even Thailand is best known for its island getaways. But all these remote and badly connected parts call for proper airline connectivity. I got you covered in this post with plenty of local and l0w-cost airlines that most foreigners to the region will not know about. As many may not be included in the search results from the likes of Kayak or Skyscanner I recommend you check their websites directly. A cute name for an airline mostly focused on domestic flights within Malaysia and unusual routes like Ipoh from Singapore, or various destinations from Penang, including Koh Samui, Phuket or Singapore. The airline flies small planes and my experience is a good one with generally departing on time. This is the Indonesian version of Firefly and Garuda’s low-cost airline. Serving destinations in Borneo, Java, Bali or Sulawesi, a great alternative to Garuda’s full service. Previously operating under Garuda’s license it became an independent airline in 2015. Like most other airlines, it uses A320 to service 42 domestic routes. Indonesia’s largest private carrier launched in 2000 with just one plane. Flying Boeing 737-900ER the airline covers remote parts of the archipelago country and links to Singapore, Malaysia and Vietnam. Although translated into English as Spring Airlines the Chinese characters actually mean Spring and Autumn. The airline is possibly one of the most innovative and annoying there is. In order to fund the very low fares, its staff uses the flight’s time to sell items to its customers. It is a great way to get to Shanghai cheaply from Singapore, Taipei, Seoul, Hong Kong or Bangkok, if you are willing to put your noise cancelling headsets to the test and have a lot of patience. This is the county’s sole low-cost airline and has customer service to match. Expect very, very little. Not really a low-cost airline per se, Malindo offers proper legroom and baggage allowances making it a great alternative to air Asia or even Malaysia Airlines. I have flown them only once but a colleague takes them almost every other week and is very happy with their on time service. The aircrafts are equipped with power sockets and WiFi. Result! A subsidiary of Lion Air, Batik Air launched services in 2013. It currently operates local Indonesian routes and a flight to Singapore. It owns 30 planes. The airline offers free baggage allowance, entertainment system and free meals on board. Like all other Indonesian airlines on the list, Batik Air is banned from flying into European airspace due to safety concerns. The low cost airline of Bangladesh, Regent Airways offers flights connecting Dhaka to Bangkok, Singapore, Nepal, Bhutan, India, Seoul and major Muslim regional destinations such as Oman, Saudi Arabia, the UAE, Maldives and Colombo. Both a private charter and a scheduled airline, Susi Air flies small propeller planes like Cessna and Dorniers across Indonesia. Final thoughts. Myanmar has a lot of local airlines that serve the various hubs in the country. 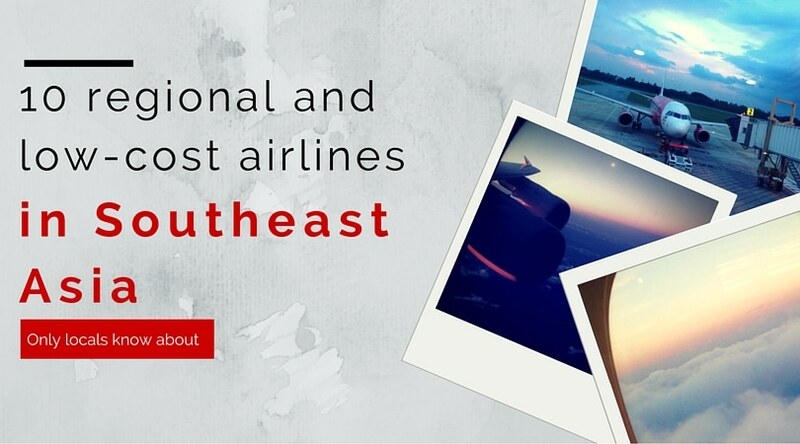 Since land transport is bad at best, check out the many local airlines for better options. As most of them are not available online your best bet is either a local travel agent or walking into a booking office. Yes, they still exist! If you want a local contact for booking flights or local travel, send me an email (contact details on my Contact page) and I will pass you mine.